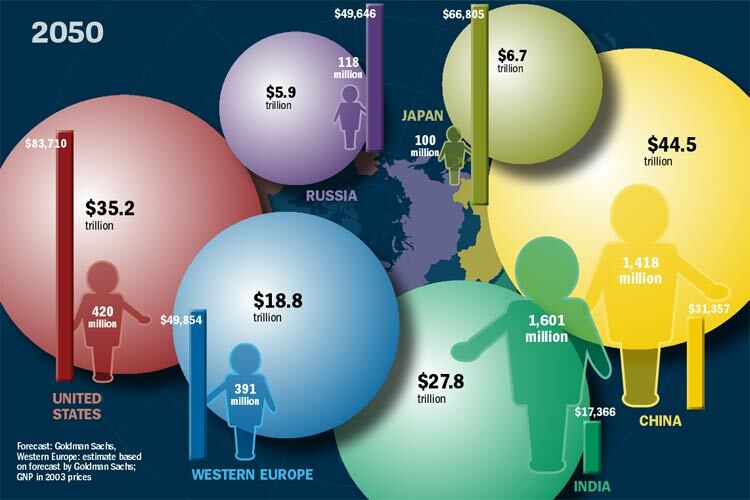 Art-MegaTrends Summary - Vaxa Inc. In this series of articles, Vaxa will explore the work we have been doing on MegaTRENDS, their implications, their pan-industry impact and the growth opportunities they create--in the short and long term. In our minds, MegaTRENDS are forces that are creating fundamental shifts in how individuals, groups, companies, industries, and governments behave and operate. Just think of the ripple effect of the ending of the cold war, the transformational effect of technology, and how aging populations have effected global economics. Although a great deal has been written about MegaTRENDS, the one major challenge most companies have is creating a bridge from understanding to the monetization of MegaTRENDS. We will first introduce several of the MegaTRENDS we have been working on and then go deeper into each one to demonstrate their potential to create sustainable and new revenue streams for companies across the spectrum of industries. 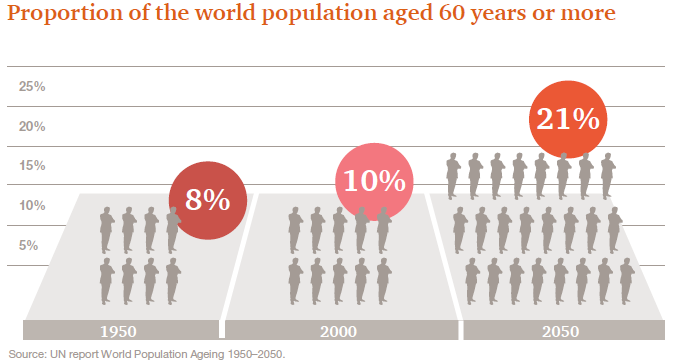 In the 1950s, less than 30% of the world’s population lived in cities. Currently, that proportion has risen to 50% and, by 2030, the UN projects that some 4.9 billion people will be urban dwellers. In 2015, the UN estimates that there will be 22 mega-cities—those with populations of 10 million or more—with 17 located in developing economies. 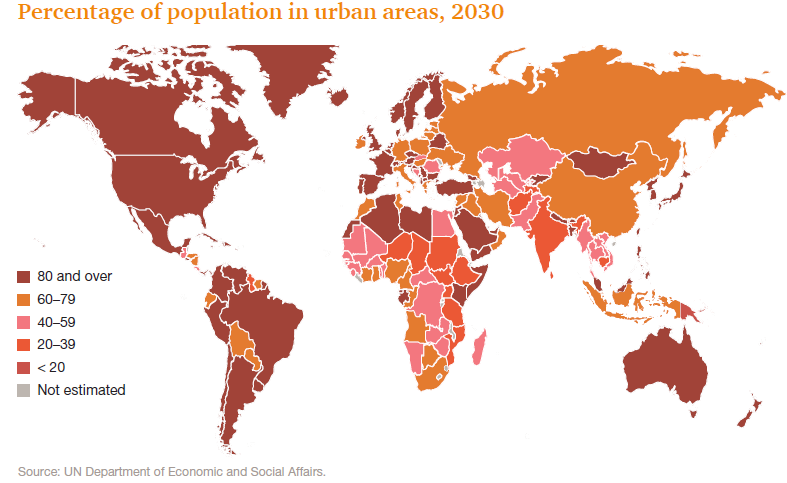 By 2050, the world’s urban population will have increased by some 72%. 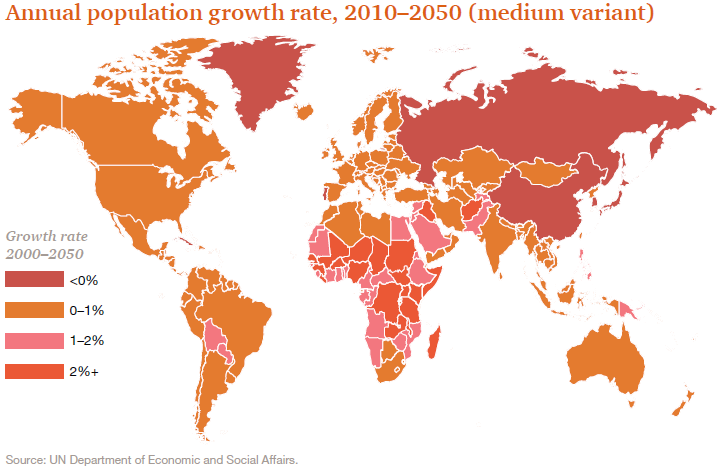 Much of the growth in urban population is projected to take place in Asia and Africa. Large scale migrations from rural areas will power much of this growth as the middle classes grow. 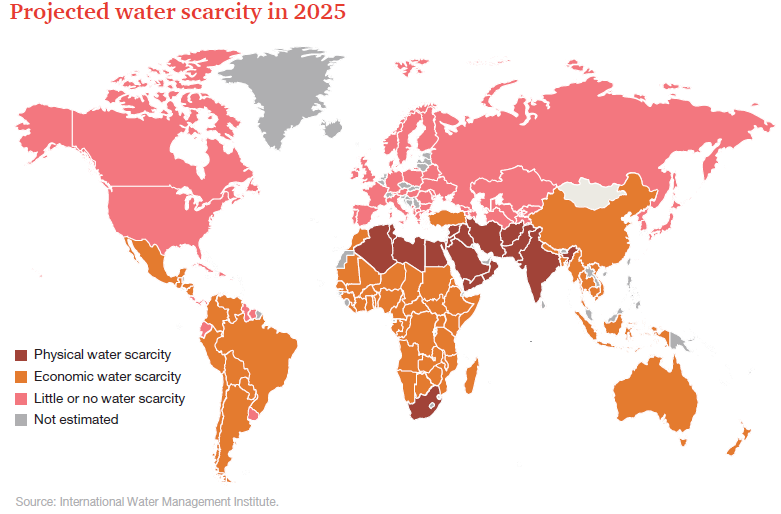 In developed economies and older cities in the developing world, infrastructure will be strained to the utmost—and beyond—as populations expand. 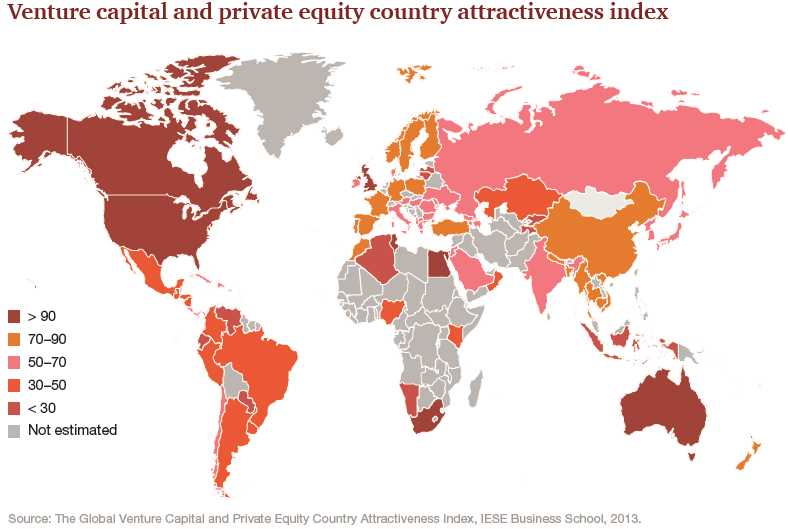 Meanwhile, in emerging economies, new cities will rise rapidly and require massive investments in smart infrastructure to accommodate explosive growth. The implications of changing populations are so fundamental that it affects the basic fabric of how and where we work and play, acquire and consume goods and services, our ability to enjoy life in ways we want to. Take the idea of the self-driving car. It sounds fanciful and it seems to have more problems than it is worth. However, the problem of congestion is already upon us but it hasn't reach a tipping point yet where local and national governments have taken any drastic steps to alleviate it. But the solution to congestion is much more than vehicles on the street but providing the ability to rethink the consumption model.